Holger Beuthien owns and operates ID Surveys. 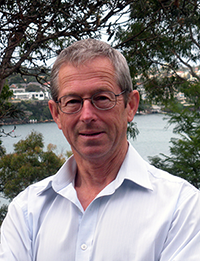 Holger is a professional surveyor, registered with the Institution of Surveyors (NSW). He draws on 30 years of experience running his own successful general surveying practice and now chooses to specialise in the area of surveying which holds the greatest interest for him, Identification Surveys. Holger values client confidentiality and provides clear communications along with a reliable, timely service. Holger has a solid understanding of the legal, ethical and social issues associated with boundary definition, and is always willing to provide considered advice relating to any issues arising from the survey.